Below you will find antique terms for words beginning with X, Y and Z including meanings and definitions that cover everything from x-chair to zsolnay and zeotrope. A medieval x-framed chair popular in 15thC. Italy. and in 18thC. Britain by Sheraton. Sometimes called a savonarola. A chinese word meaning ‘ware’. A sword with a double curved blade and large curled grips on the hilt. Popular in the the balkans in the 19thC. A dense, strong british softwood golden brown in colour, close grained and that polishes to a fine finish. Often nicely figured with twisted trunks. A popular choice for country furniture since the 16thC. and for drawer knobs and spindles in the 17th. Windosr chairs were mostly made of yew. The knotted burr wood is often used as a veneer. Favoured by ernest gimson and sir gordon russsel in the 20thC. Early chinese porcelain from the song dynasty (960-1279) referring to the translucent misty-blue glaze. Surviving wares are mostly bowls dug out of burial grounds. Modern reproductions have been produced in hong kong and taiwan. Chinese potteries specialising in the production of red stoneware. 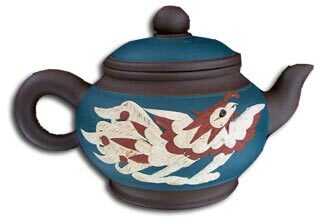 Particularly in teapots that were exported to europe in the 17thC. 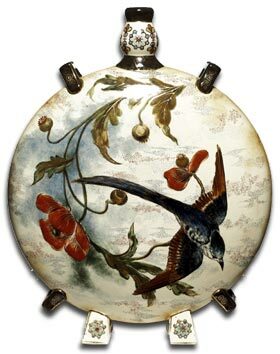 Inspired similar wares produced by Meissen and by the Elers Brothers in England. A pewter vessel about 12" (30cm) in height. It’s base is the shape of an acorn cup and it has a domed acorn like cover, capped by a finial. Used for serving wine or ale in Yorkshire in the 18thC. Also known as an acorn flagon. A reddish-brown brazilian timber also known as tigerwood. Hard and heavy with dark stripes and mostly seen in banding and inlay. Used as a veneer in the 18thC. for complete bureaux, desk and table surfaces. A blue-white metallic element used to form alloys such as bronze, nickel silver and brass. Produced in the UK from the 18thC. Found in the far east and sri lanka a yellow through to red, orange and green gemstone which is made colourless, golden-brown or sky-blue through heat treament. Often used as a substitute for diamond but is not as hard or brilliant. Yellow and brown shades are often known as hyacinth and colourless stones are sometimes referred to as jargons or jargoons. Popular in victorian times a toy that consists of a revolving cylinder, open at the top and with a series of images on the inside. The images are viewed through slits in the side of the cylinder and appear to be moving when the cylinder is turning rapidly. The zoetrope first appeared in the 1830’s and is also known as the zootrope or the wheel of life. The Zsolnay factory has been established since 1853 and it is one of the most unique porcelain factories in the world today. Miklós Zsolnay established the factory for his son Ignác. Ten years later, Vilmos Zsolnay, the younger brother of Ignác, took over the management and within a short period of time developed the small plant into a premier factory standard. The factory’s first major success was reached at the 1873 World Exhibition in Vienna. On the basis of its displays, the factory received a great number of orders from England, France, Russia, and even from America. Zsolnay achieved further success at the 1878 World Exhibition in Paris winning a gold medal, the grand prix of the time. At the same time, Vilmos Zsolnay was made a member of the Legion of Honour. The factory went on to further successes at Melbourne in 1880, Brussels (1888), Chicago (1893) and Antwerp (1894). At the exhibition of 1896, on the the Hungarian millenium, the factory introduced its most beautiful pieces, made of eosin. After Vilmos Zsolnay’s death, in 1900, his son Miklós tookover management of the factory. During this time art nouveau was pre-eminent in decorative art productions. Vilmos Zsolnay’s invented several new technologies and developed a base material and glaze that yielded a quality equal to porcelain painting, but which allowed a much richer use of colours. His technique of firing glazes at high temperatures remains unique even today. An italian painter and furniture & interior designer. Associated with robert adam in italy and when staying in england in 1766. Worked with adam on house interiors. 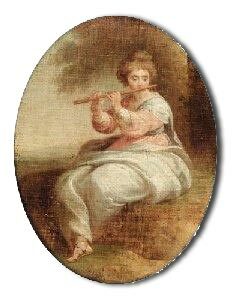 Second husband of painter angelica kauffmann. A glass vessel with engraved and gold or silver leaf decoration. The decorative technique dates to c300 BC but surviving examples date Bohemian glass between 1730 and 1755. Mainly beakers or goblets decorated with hunting, religious or heraldic scenes.